Missing Text Messages? | Text Message | Missing SMS Messages? Are you tired of missing out on important text messages from friends, family or even business associates because your mobile phone service doesn’t provide this feature in your current plan? Or, perhaps you’ve discovered your text message service won’t enable you to send across international boundaries? There’s got to be a better way, right? Well, there is. When you rely on ipipi.com to help deliver text messages, you will no longer miss out on this powerful and highly convenient way to communicate. Plus, you can do so for just pennies a message. Text message even if you don’t have a cellular phone – You can send and receive text messages worldwide just by using your Internet-connected computer. There is no reason to invest in a costly mobile phone service if you really have no need for one. Our service can pick up the slack and let you tap into this powerful communications platform. Text even if your wireless company doesn’t offer the service – If you’re using a limited plan or your wireless company has boundary limits, you don’t have to limit yourself any longer. At ipipi.com, we can help you text anywhere in the world no matter the limitations of your phone. Save money – Text messages can be costly to send using standard mobile phone service plans. This is not the case when you rely on ipipi.com to send and receive messages. Our service costs just pennies a message and makes reaching international recipients highly affordable. Forget the little keypad – A lot of people steer clear of text messaging because of the small keypad attached to most mobile phones. When you use ipipi.com instead, you can leave behind the small keypad forever. Rather than fight with the little pad, just use your personal computer to send and receive messages. Multitask – The ipipi.com platform is highly adaptable to meet your needs. We enable you to send multiple messages at once or to reach multiple recipients with the same message. There’s no reason to sit down and type the same thing over and over again when ipipi.com makes it so easy to multitask with text messages. Customize your experience – We enable you to fully configure your account to meet your specific text messaging needs. Our interface was designed with user ease in mind, so don’t worry about a complex process either. Text messages sent from ipipi.com arrive in seconds, save you money and enable your friends to reply even if you don’t have a cell phone to receive the messages. There is no other service that lets you send text messages from any PC and deliver them directly to any mobile phone on the planet. If you’re ready to stop missing out on text messages, all you need to do is sign up for our service today. Membership is fast, easy and affordable to obtain. 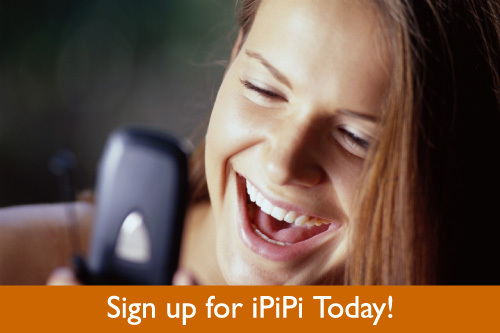 We even offer a free trial and full guarantee so you can feel secured in giving the ipipi.com way a try.